How many scratch cards? Where do you begin? Before moving to Italy I never thought of Italians as gamblers. So, I was surprised to see so many betting shops, café bars and ‘Tabacchi’ (Tobacco shops) selling what seems like hundreds of scratch cards and displaying live ‘lotto’ games. Many of the café bars also have an additional room where you can play the slot machines to your hearts content, or play poker with other gamblers. In Southern Italy, it seems to be a favourite pastime for many Pugliese men. So, I have come to realise that gambling here is big money. Sunday mornings are especially busy, while ‘mamma’ is preparing lunch, they guys study the papers, mathematically working out the best odds before placing their bet. I have always thought of gambling as a mugs game but the café bars and betting shops proudly display winning tickets on their walls, and in the window to encourage more patrons. The Italians take it very seriously and of course if they win, the place erupts with excitement, words are exchanged at a million miles an hour, there are hand gestures galore and wide brimmed smiles all around! The world of gambling is somewhat alien to me. I have been to watch the dog racing a few times and placed a few bets on the Grand National, but I just find the various betting options too confusing. Gambling isn’t really my thing and, to be honest, I wouldn’t know where to start! 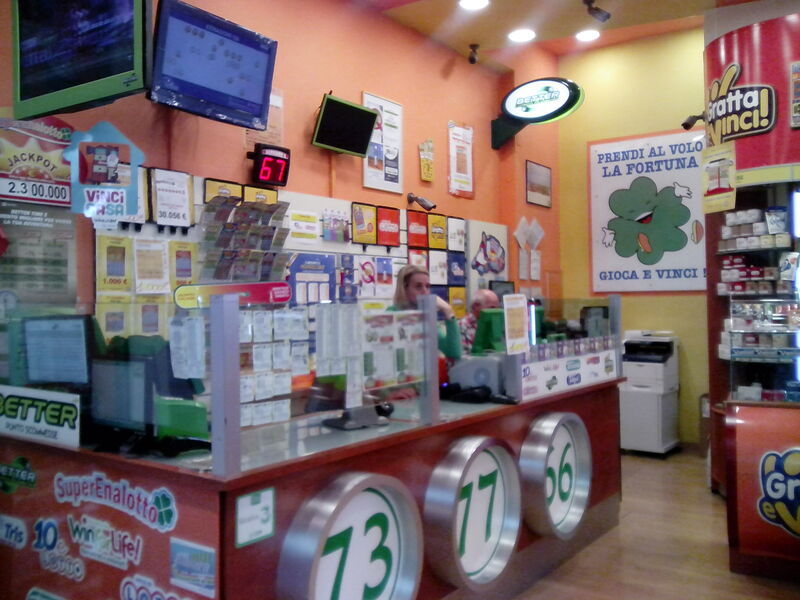 Just look at the photo above, taken at Auchan Mall Brindisi, with so many options, would you know which to choose? What are your views on gambling, good, bad or just ugly? Very true! There’s only one winner!